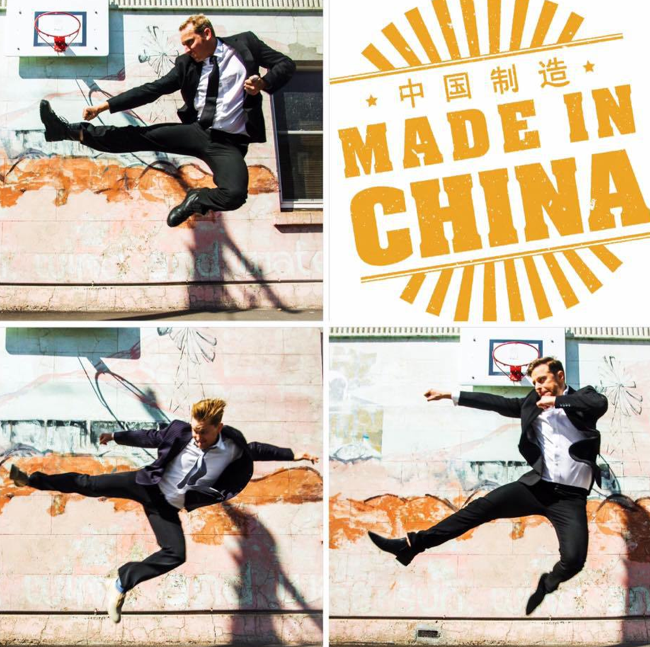 You wouldn't expect the seedy underworld of Dublin to have much in common with martial arts, but in Mark O'Rowe's dark comedy, Made In China, these two worlds collide for three men, who are all facing their own power struggle with each other and gang politics. One wants to get out, one wants to get in and the other one want to remain on top. Unfortunately, the story moves at an incredibly slow pace, with nothing happening until roughly the final 20 minutes of this two-hour play. Even when the plot reaches its climax, it still feels drawn out and lacks any suspense. There is minimal character development, which has these people come across as monotonous beings. Even by the end of the show, there is very little that has actually changed for these people in the greater scheme of things. High up in the gang food chain, Kirby (Stuart Jeanfield) is such a weird character that his menace and aggressiveness is farcical, and not in a good way. In fact, I found a lot of the humour in this to be quite a miss, particular the cringe inducing sexual overtone scenes with Kirby and his Nik Naks crisps. Hughie (Vaughn Rae) is more or less a passive pawn in his power struggle with Kirby from beginning to end. Damien Harrison as Paddy is fortunate enough to play a character that at least gets to go on an emotional journey and is somewhat changed by the end of the proceedings, even if the way it occurs seems forced. The set design failed to excited me aesthetically and the random lighting effects during the fight scenes felt contrived. The vocal coaching by Suzanne Heywood proves to have worked with all three actors consistently keeping to their accents. However, the use of the accents and the added slang used throughout the play made it very difficult to follow what was happening at times. Walking out at the end of Made In China, I did not feel satisfied with the pay off we received as an audience. It's not the most exciting story and the characters are boring and one-dimensional. There appear to be some talented minds behind TBC Theatre, however with their current production, that does not come across.